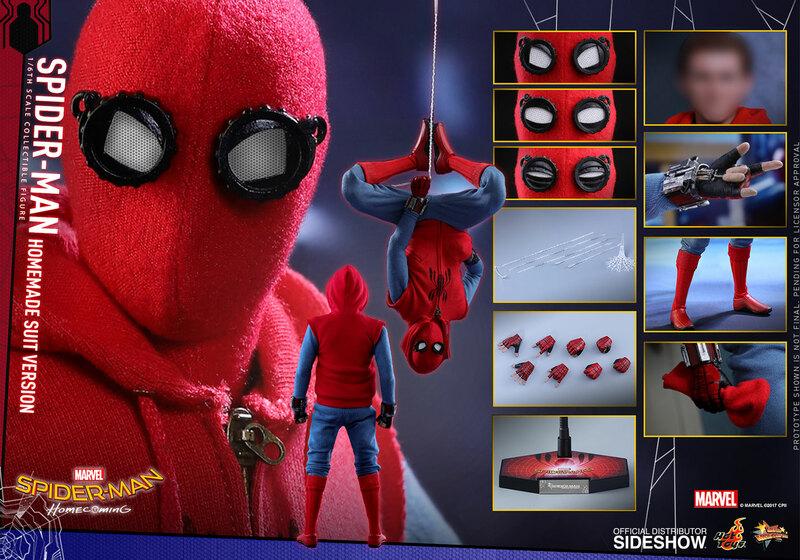 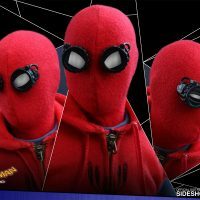 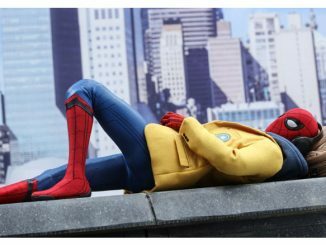 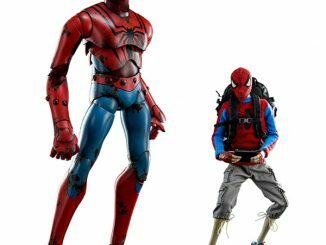 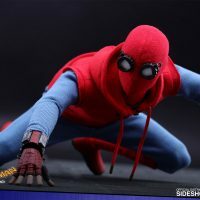 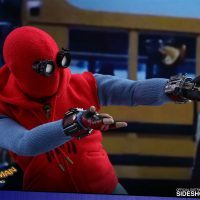 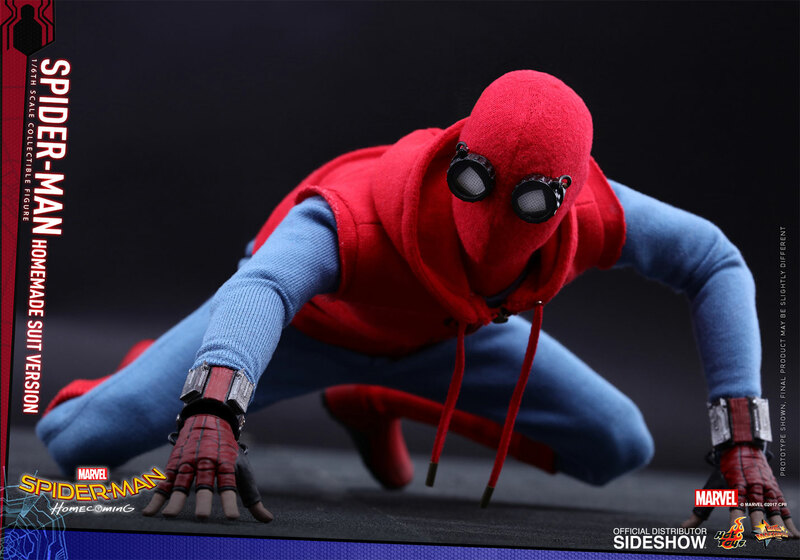 Fans of Marvel’s wall-crawling web-slinger get a look at Peter Parker’s original Spidey style with the Spider-Man (Homemade Suit Version) Sixth-Scale Figure. 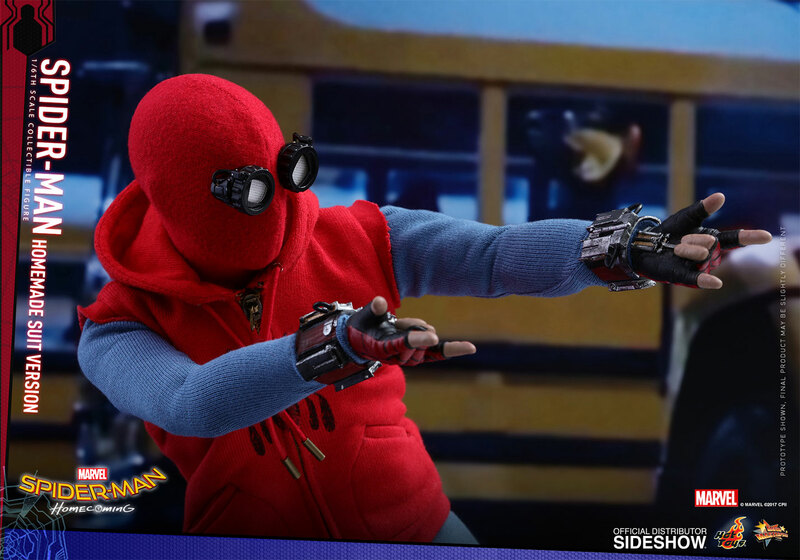 Later, when he meets Tony Stark, Peter will be rocking some major superhero style, but he’s just a kid in high school so resources were sort of limited when he created his first Spidey suit. 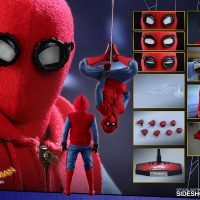 Still, the basic look is there, with the red and white color scheme, eyes concealed behind a field of white, and of course, the iconic spider logo on his chest. 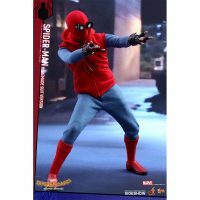 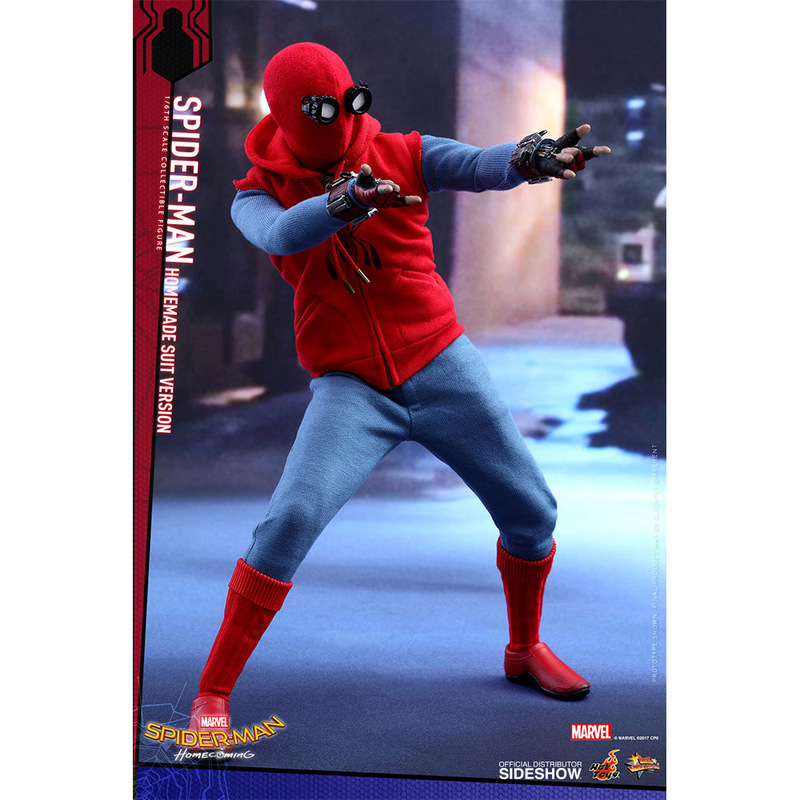 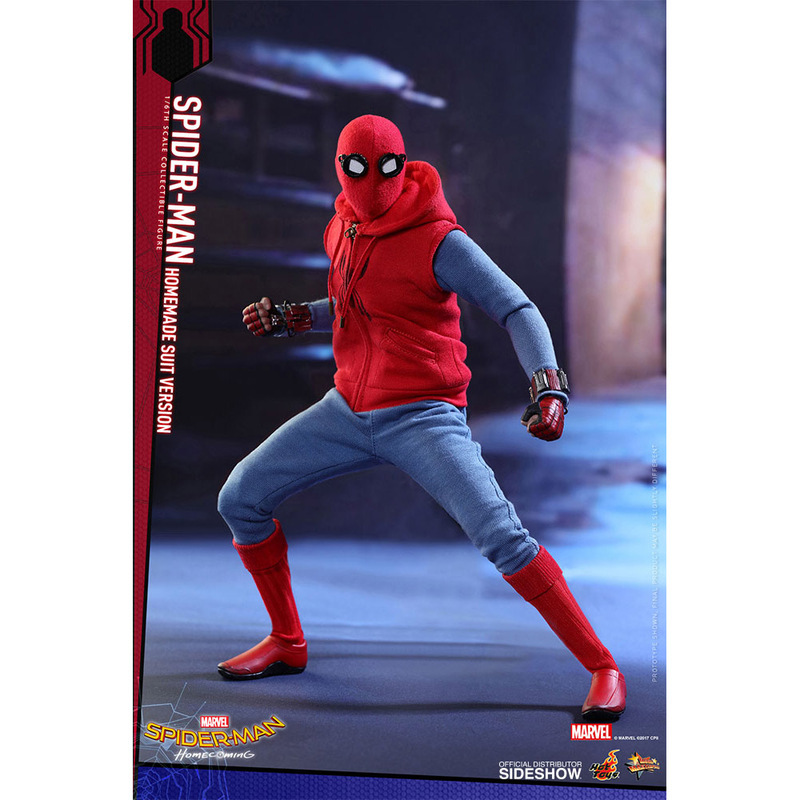 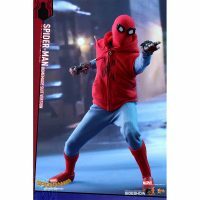 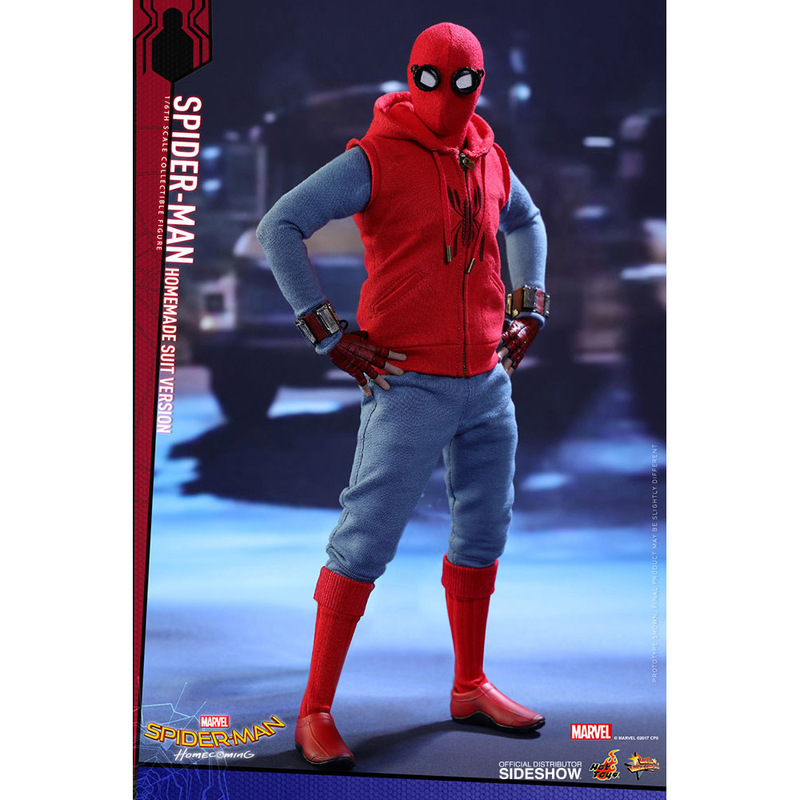 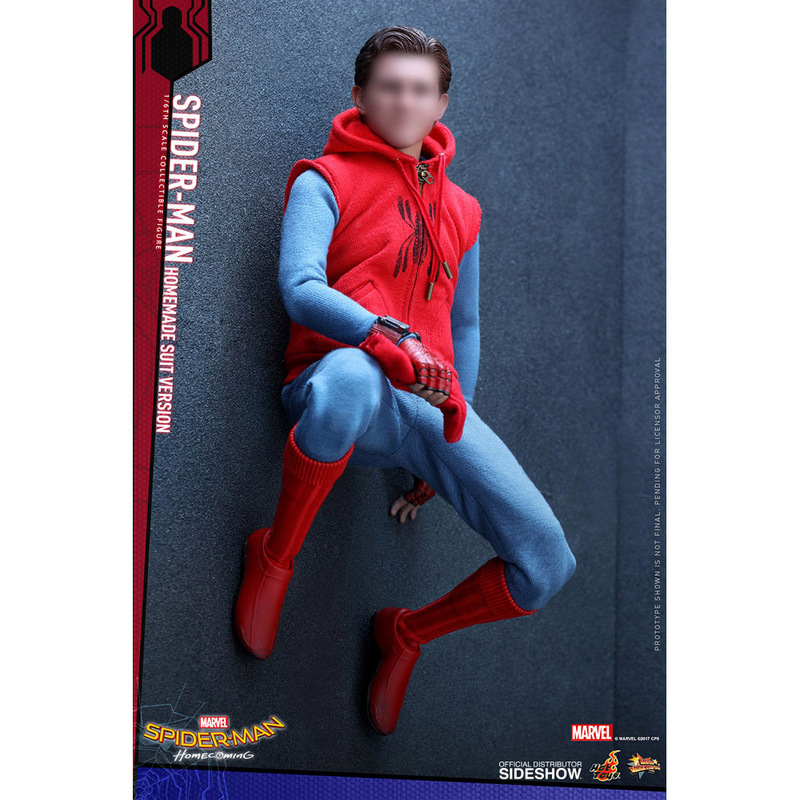 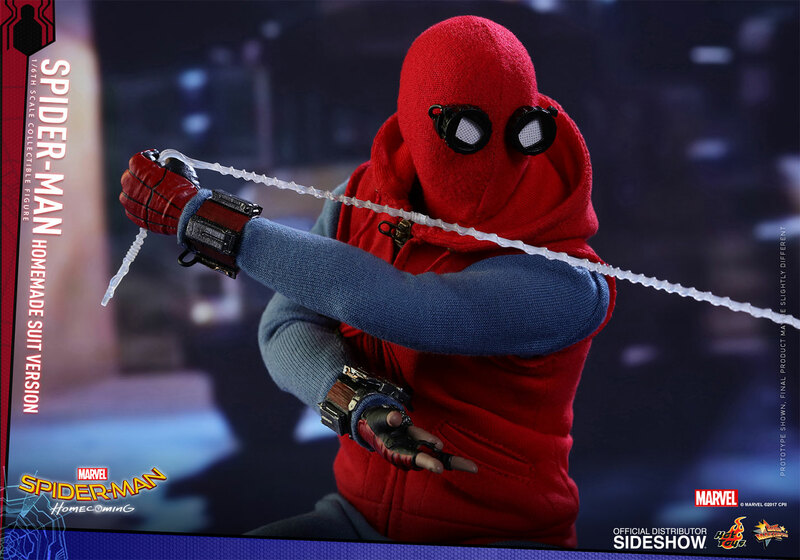 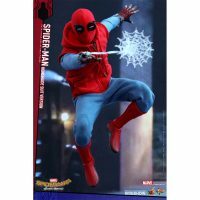 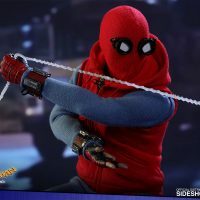 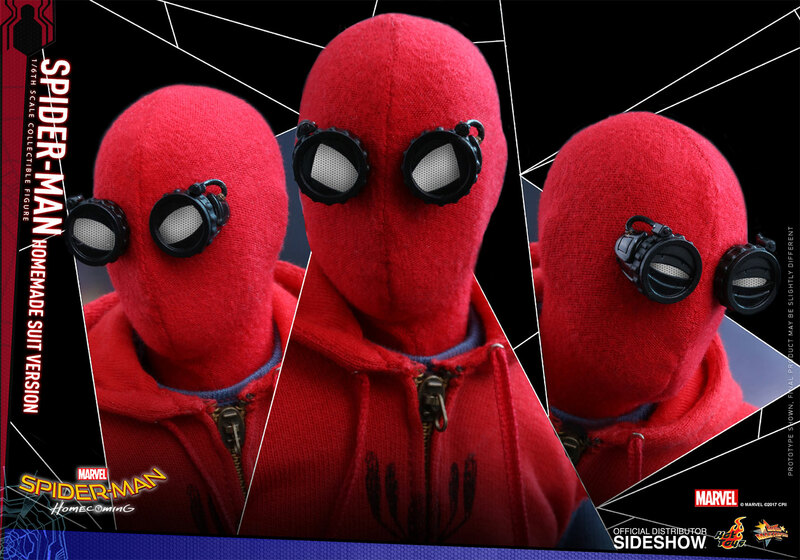 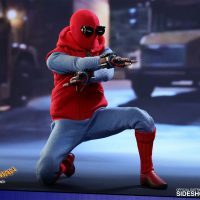 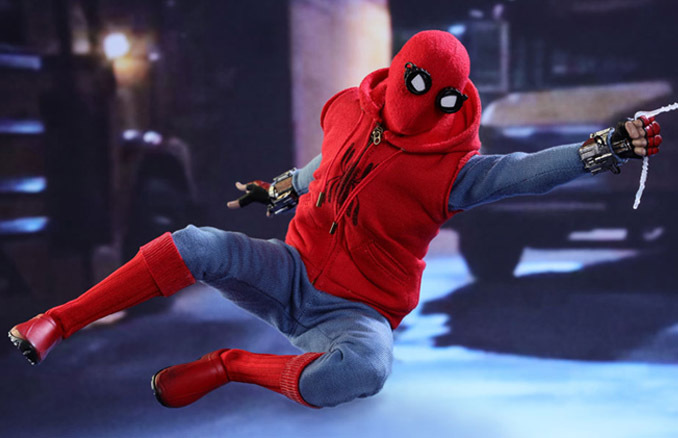 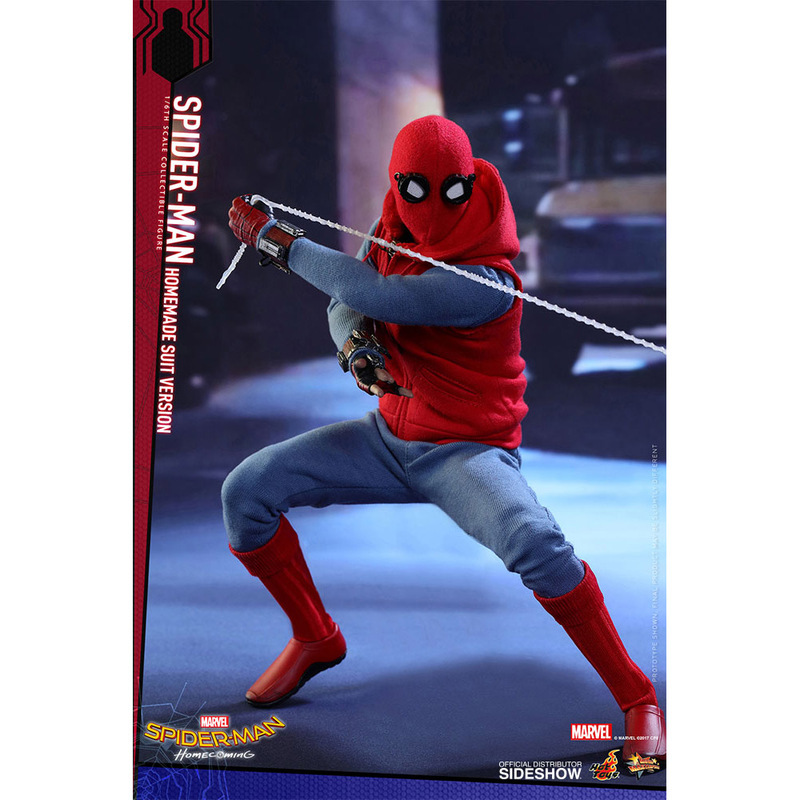 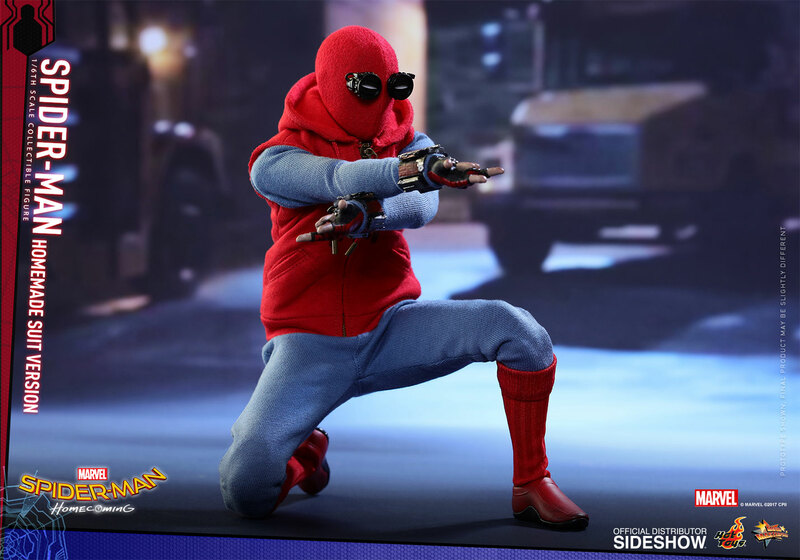 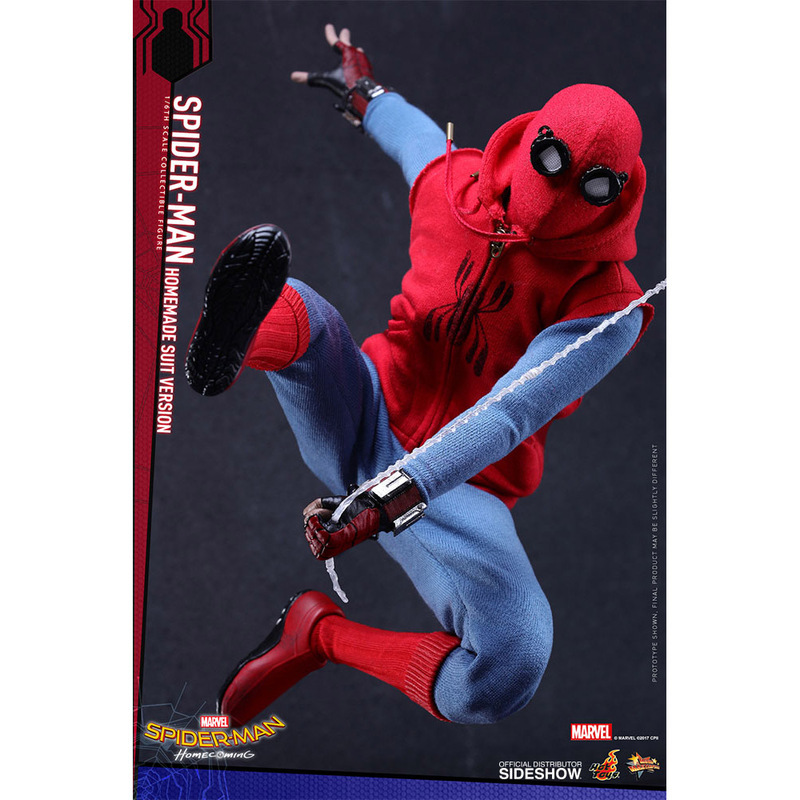 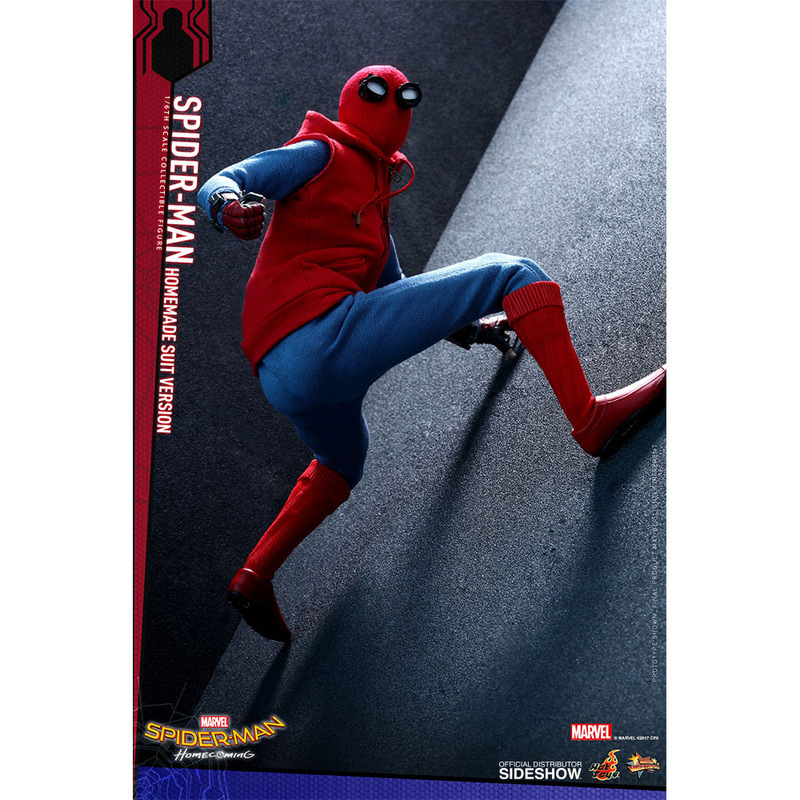 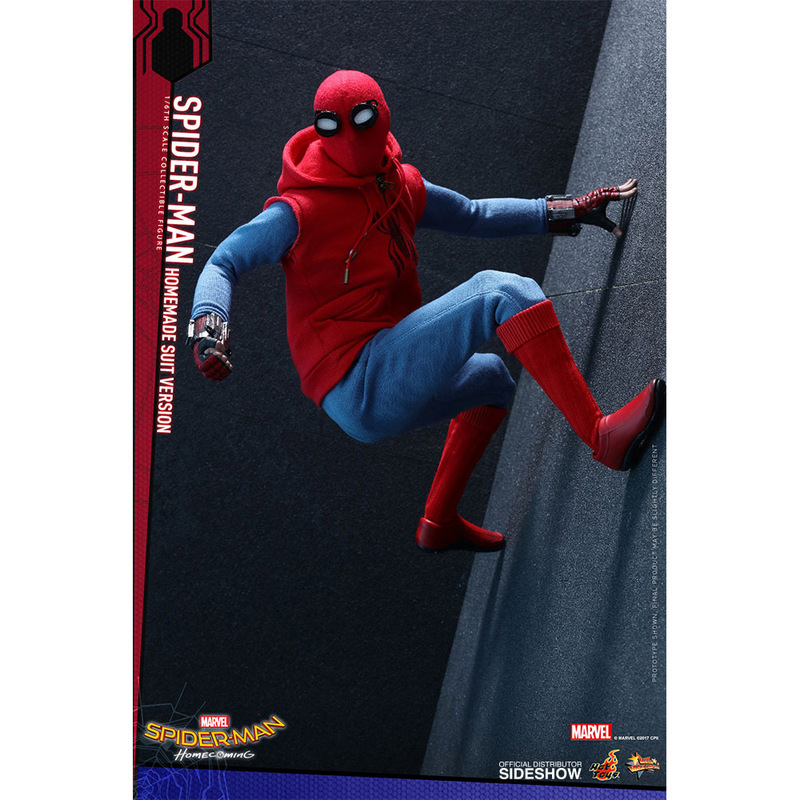 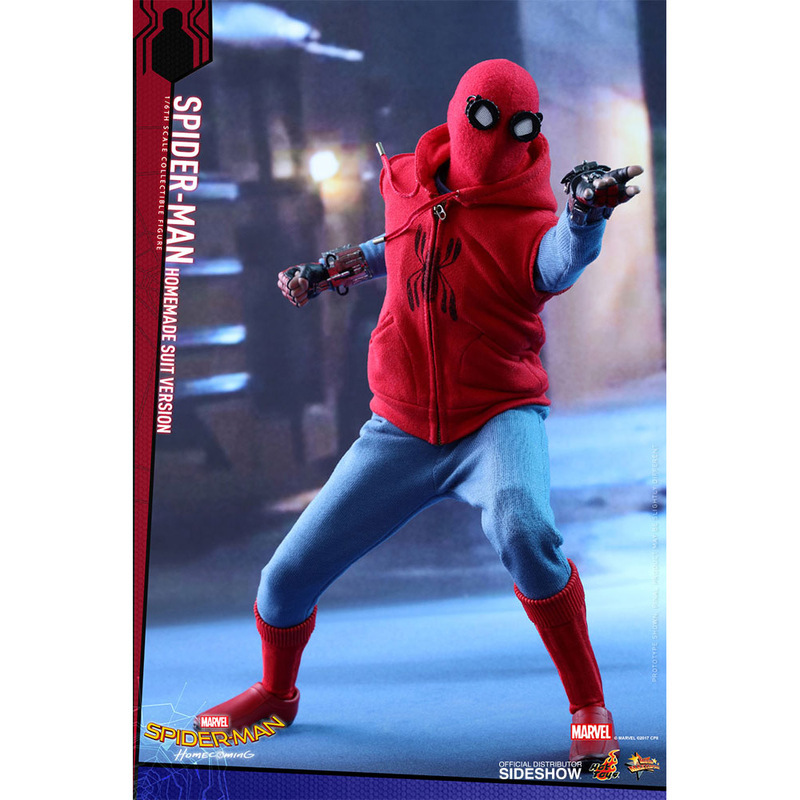 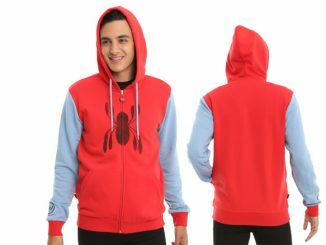 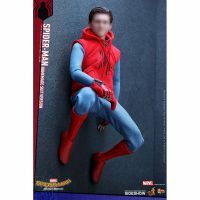 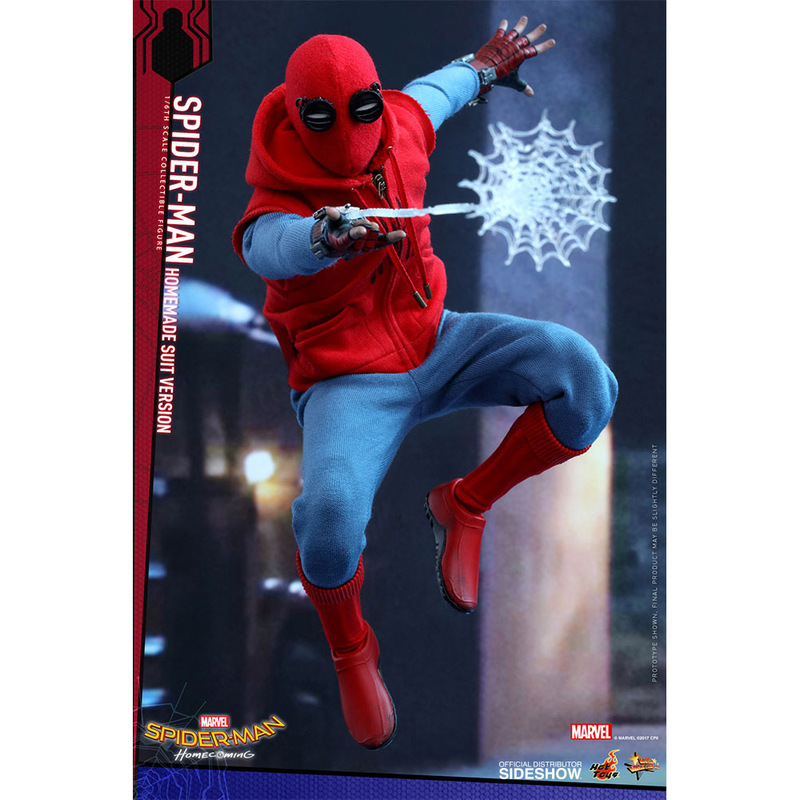 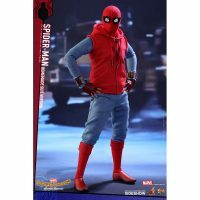 As an extra bonus for fans of the Spider-Man comic books, the hoodie brings to mind Ben Reilly’s Scarlet Spider so you almost get two characters in one. 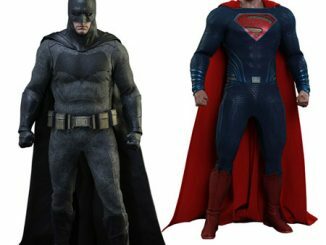 Coming Oct 2017 – Dec 2017. 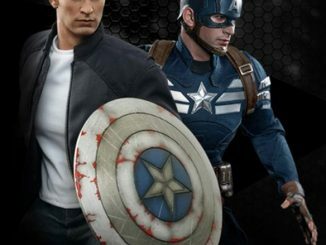 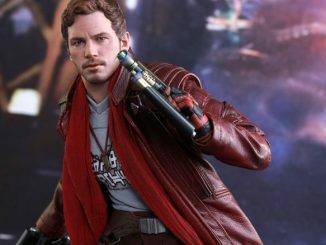 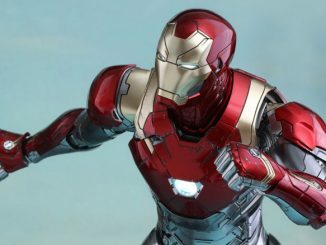 Pre-order now for $219.99 at Sideshow Collectibles. 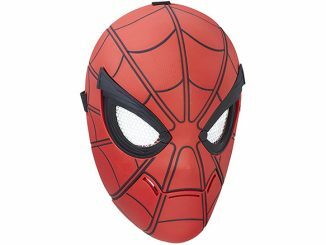 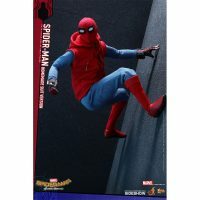 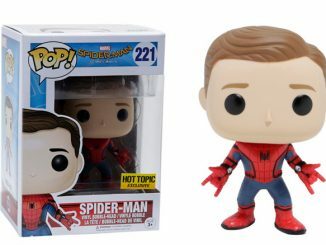 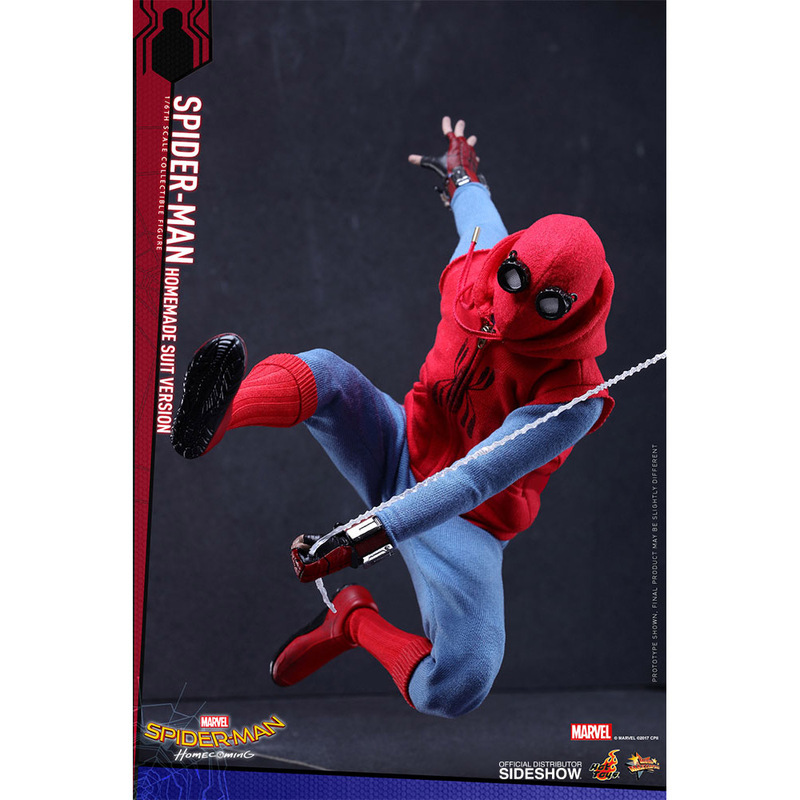 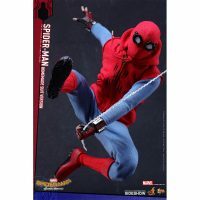 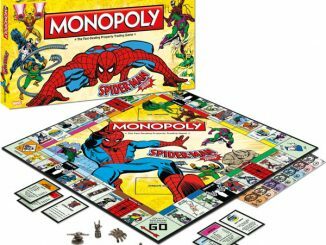 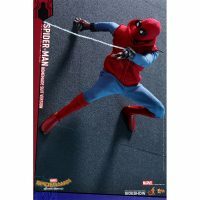 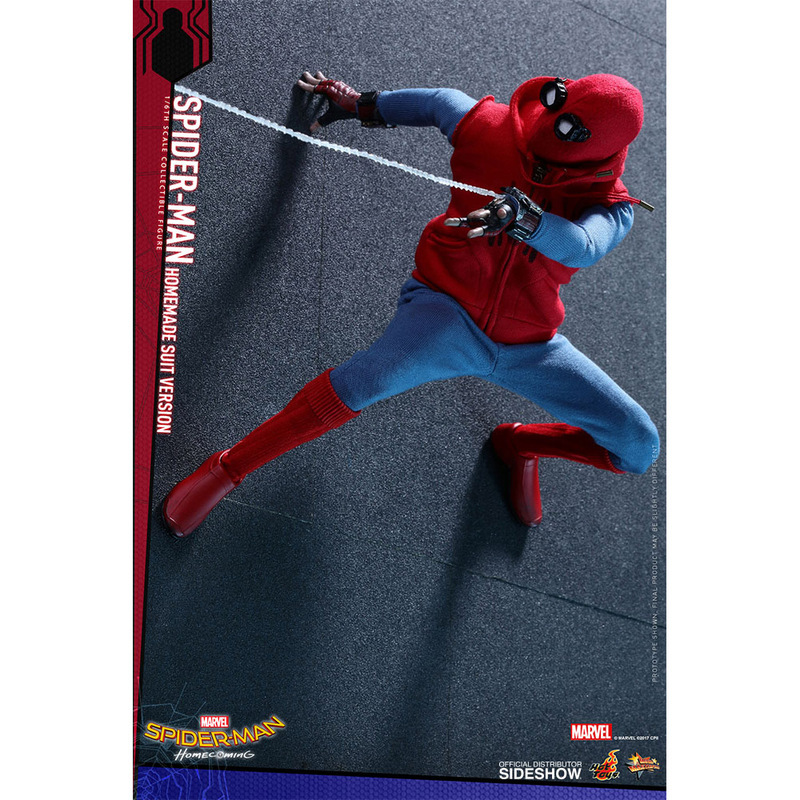 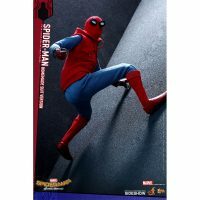 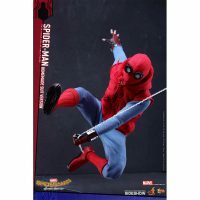 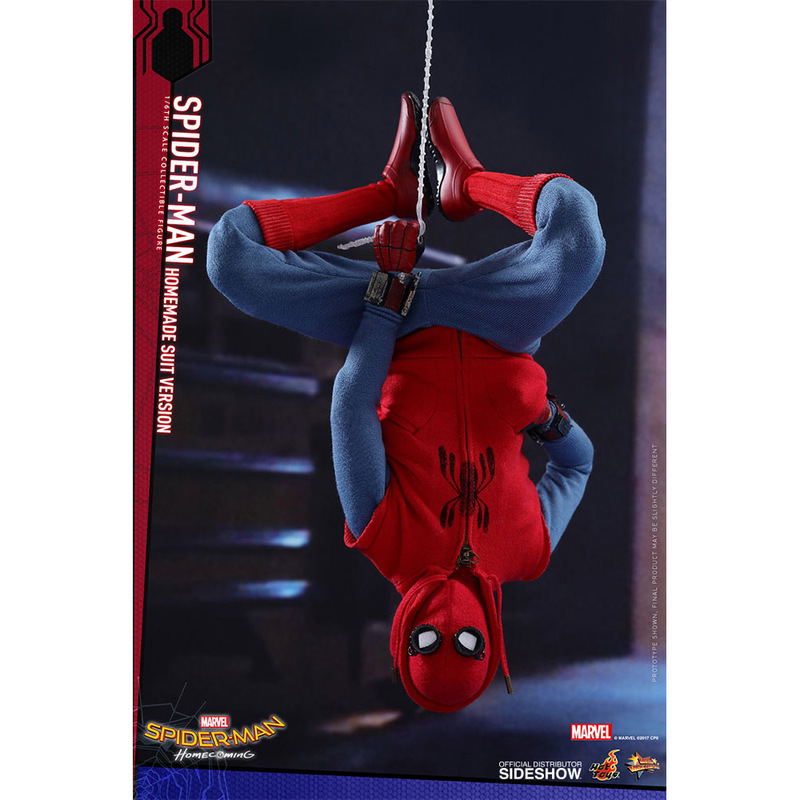 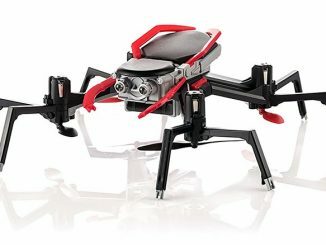 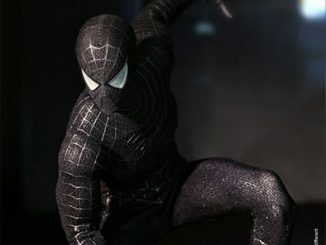 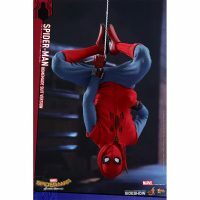 Find great deals on Spider-Man merchandise at Rout.com.